Understanding the psychology sales and why people buy can be your unfair advantage. Simply put, understanding the psychology of sales can lead you to learning how to master the art of selling. Let me point out one important fact — We are all human beings and our minds function in a similar way. What triggers me will likely trigger you, and so forth. Most of our decisions are not completely rational. We don’t have that much time to consider every aspect of information, so we leave this hard work to our subconscious mind to process it. On one hand, you might be born talented and use these techniques naturally in order to move people in your direction. And on the other hand, to be a successful communicator you might need knowledge of science that will show you what lies beneath the decisions people make. Knowing the psychology of sales and these triggers will help you master the art of selling. I will show you how to understand and implement this psychology of sales science into your email communication. Before we start, let’s make one essential distinction. Using these social techniques as manipulation won’t bring you any good. You might succeed at first, but people will find out soon that they are being deceived and provided with false information. To persuade is to inform and educate. And you do that by pointing out something that moves people in directions that are good and beneficial to them. Studies show that we are more likely to connect with a stranger who shares some similarities with us, rather than with someone who doesn’t. We like the people who are like us, even if those characteristics are incidental, and we more often say yes to them. Psychologist Jerry Burger and his colleagues conducted a research about the effect of an incidental similarity on compliance to a request. They showed how incidental similarities, for example having the same name or birthday, can lead to a positive effect. In these experiments participants were also more likely to agree to a request from participants, who shared similar personality traits with this person than the ones who didn’t. In other studies they found that even sitting in the same room with the requester or sharing a conversation can change how we respond to their request. The more you know about them, the easier it will be to connect with them. You are maybe fans of the same sports club, you like the same music, or you are both environmental activists. Point out some of the similarities to start a conversation. This can be very helpful if you are reaching out to them for the first time. Check out this amazing cold email that Dave Daily sent to Noah Kagan, and got to meet him. He even mentioned that they wear the same size shoes. Subject: How I lost your Sperry’s.. and apt. And why you should meet with me. I kept bidding them up.. to $600. Then I stopped with 3 seconds left and the other person won. I didn’t want the apartment. I was going to use it as an expensive excuse to get an App idea in front of you…and we wear the same size shoes. I have since bought a pair of Sperry’s..er Sperries? Size 11 – they fit! Another thing that could be very useful is to try to connect to your leads in person. Meet them at conferences, exchange ideas, and later make sure you mention that in your email when you reach out to them. Reciprocity is one of the 6 principles of influence that Robert Cialdini, professor of psychology and marketing, explains in his book Influence: The Psychology of Persuasion. People will be more willing to say yes if you have given them something that benefits them, something that will help them be better at what they do. If you help them or give them positive experiences they will feel obligated to return the favor. If you offer them something free they will later more likely choose to buy your product. Offer your customers help and guidance when they start using your product. Provide content that will help them achieve their goals. Segment your prospects and send them emails that will help them stay on track with necessary knowledge. And in the end, you can also offer them a free trial or free usage for one part of your product or service. If they don’t have money to invest in it now, they will remember you when the time comes. Another principle of influence that Robert Cialdini mentions is called Social Proof. His research shows that when people are uncertain, they will more likely do what others are doing. If people you like and trust are using some product or service, it will be easier for you to make the same decision. Make sure you mention the companies or people that are using your product or service. Point out how you’ve helped them grow. Use positive feedback from customers and companies on your website. You can implement this into an email in the way that will be relevant to your recipient. We want to be perceived in the best way and what others think of us plays a big role. Positive labels are not just compliments — they are something that is important to us, encourage us and we want to nurture them. When you are talking to your leads or prospects, appoint them genuinely positive labels. Fake labels have no power. Be honest. Robert Cialdini states that if we say yes, we will be committed to follow through with our previous statements. There were studies conducted with voters who committed to vote on elections in a phone survey. Potential voters, who received the phone call and said they would vote on the upcoming elections, later voted significantly more often than the ones that didn’t receive the phone call. If your clients said yes to your proposal once and then somehow disappeared, make sure you follow up. They were probably distracted with other work and didn’t have time to proceed with your offer. Have this principle in mind and be persistent. Their disappearance should not discourage you. Check out his follow up email correspondence. This is his 6th follow up. He also added a bit of humor. Did you trip and aren’t able to get up? Do you want me to call 911? I’m getting a bit worried over here since you didn’t reply to my previous emails. Hey, Christoph, completely my fault and thank you for staying on top of me. I fell behind on a few things with a recent job transition. I scheduled a time for Tuesday. To be sure that we are making the right decision we want to know what the experts are saying. We need the proof for products or services we are considering. To even start a business relationship with someone, we want to know if they collaborated in the past with people or companies that we or others look up to. If you want to pitch someone for the first time, prove them why you are valuable. Mentioning your past achievements and pointing out relevant companies you worked with will make you stand out. If one authority company or person can guarantee for your skills, you can later aim even higher. This cold email pitch that Bryan Harris sent to HubSpot is a perfect example. Check out how he pointed out his collaboration with KISSmetrics along with other valuable content. KISSmetrics is a great blog, a great authority to rely on, but it is also very relevant to HubSpot. I work with companies like KISSmetrics and make weekly videos for their blog. Here is one that got published earlier this week on their site: 4 Critical Facebook Reports. Another one of Cialdini’s principles of influence is Scarcity. He says that when things are less available they are more valuable. Products or services can be limited in number or available for a limited amount of time. These kinds of campaigns influence our brains to make an instant decision, so we buy because we are afraid of missing out on an opportunity, and not because we really need something. Inform your customers how rare and uncommon the features of your product or service are. Offer special features that they will be getting once they become your users. Make a time-limited email campaign to offer an upgrade for your users for a lower price. Or make special discounts for a limited number of users. Subject: Give us 60 days. We’ll make you amazing at social media. To prove it, we’re giving you 60 days to try Hootsuite Professional, absolutely FREE. The only catch? This offer expires in three days. So click the button below and start your free 60-day trial now! Kahneman and Tversky in their Prospect Theory pointed out that losses are more powerful than gains, in other words, people are more likely to avoid losses than they are to gain benefits. Even when the losses and gains are equal, we are more motivated to consider the potential loss than a potential gain. This kind of irrational decision making was also proven by Laurie Santos in her monkeynomics experiments where she showed that primates make the same silly decisions as we do when it comes to choosing between loss or gain. Cialdini, in his book Influence: Science and Practice, talks about one experiment in which two different approaches were made to the similar customers. Changing what they were told from “If you insulate your home, you will save X cents per day.” to a sentence that implies the loss “If you fail to insulate your home, you will lose X cents per day.” made a big difference. Send an email with an offer to customers that are using free or basic service to upgrade to a pro version for two weeks. Show them all the benefits they can get and later when that period expires they will be more likely to continue using it as a paying customer. The other thing you can do is change the way you are presenting your products or services. Now as you know what influences people to make their decisions, you can try conducting an experiment on yourself. Knowing what lies beneath your decisions and leads you in a certain direction will help you understand others as well. It will take some time and practice to master these techniques, but after a while you will find yourself doing it naturally. Tell me, have you ever thought about the psychology of sales triggers and are you already using them? I would love to hear your opinion. Nina is a researcher and writer at Etools – a toolkit that lets you find the exact contact details of any business. I agree, personalization is one of the things that make cold emailing smoking hot. 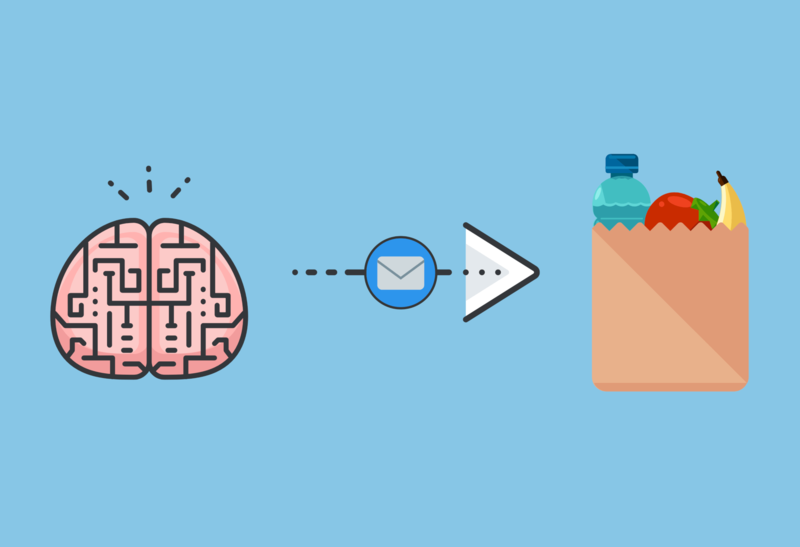 But using these psychological triggers you can take emailing to another level. Great piece Nina! Very helpful tips you have here. Email marketing is definitely a great way to reach out and offer products/services. I was wondering, when do you think is the best time to email? Some studies show that for example Monday and Friday are not the best days to send emails. Emails sent on Tuesday, Wednesday or Thursday, in the morning, between 7 a.m. and 9 a.m, or late afternoon, between 6 p.m. and 8 p.m. tend to perform well. However, the best policy would be to test as this is really a subjective category. You can use A/B testing to determine the perfect time for your email campaign.